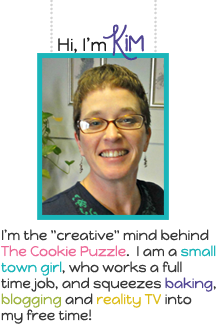 The Cookie Puzzle: In love with the CUPCAKE COOKIE....show me yours! I am in LOVE the a cupcake shaped cookies! I mean...they are totally perfect....so cute...and they are be used for virtually every occasion..birthdays...holidays....celebrations...you name it....the cupcake cookie can be turned into a piece of cookie art. I have make a lot of cupcake cookies since started decorating cookies....but BEFORE I fell in love with cookies...I pretty much was slightly obsessed with cupcakes. I will not tell you how many cupcake wrappers I have in my collection...because...well...it is a little embarrassing....and sprinkles...well....sorry...not going there either. I made simple cupcakes...vanilla or chocolate frosting...applied with a simple swirl...topped with sprinkles...nothing fancy...and NEVER colored frosting...ewww.....colored mouths are just gross....maybe it is just me...but when I am with friends and family...I don't want to see people with blue or red tongues...ewwww. So anywho...where was I ....oh yes...THE CUPCAKE COOKIE! 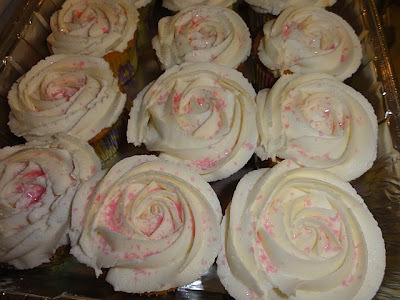 So...wanna see some of the cupcake cookies I have made over the last year? But first....I want to show you my cupcake cookie cutter collection...I have a "few"....but I am always on the look out for new ones! NOW....on to the cupcake cookies! I have lots more I could show you...but you get the picture...I love cupcake cookies! Do you? Do you make cupcake cookies? Do you want to share? I want to see them...link up pictures or your cupcake cookie creations! I love the Mickey cupcake! So cute! Love all your creative cupcakes Kimmie! That Disney one is super adorable!